All these websites require a phone number, but it is not always safe to provide your personal number because of many issues such as spam, promotional calls, unknown callers or even misuse of your mobile number. So using a fake number will reduce the risk of your phone number’s safety being compromised. But one thing you have to keep in mind is to use false numbers only for good or safety purposes. Using them for the wrong purpose can get you to be legally punished. So do not use them, even unknowingly for illegal purposes. Many websites provide the function of fake phone number generator for any uses. 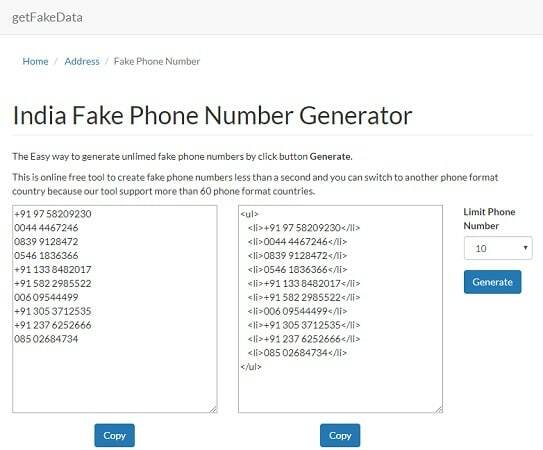 Here we introduce you to the 10 best fake phone number generator tools. 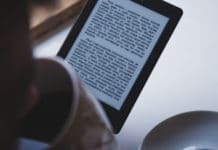 These include online websites as well as mobile applications. 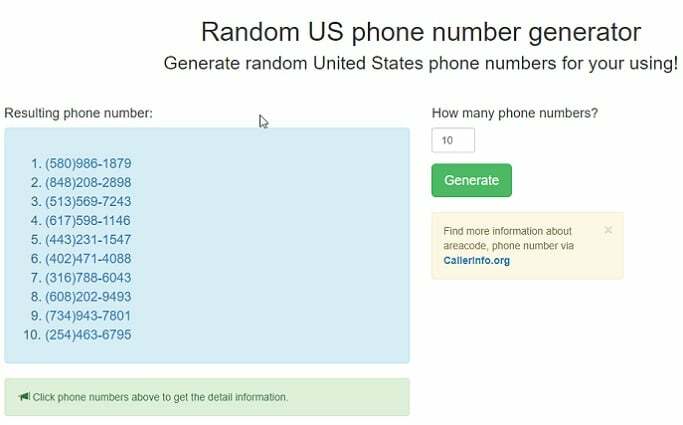 This is a fake phone number generator website that helps you to create random US phone numbers. Fake Number makes sure that all the created numbers are not in use and therefore safe to be used by us. 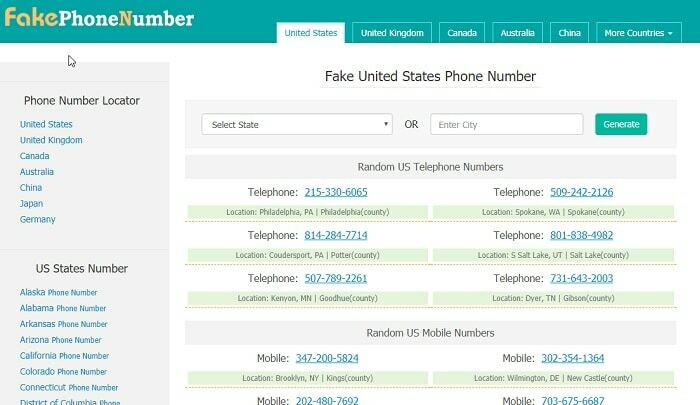 Using this website you can create fake phone numbers based on any state or city. You have the option to enter which state or city you want to select and you will be provided phone numbers based on that. 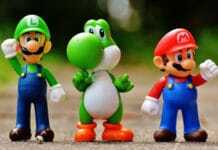 All the provided phone numbers conform to US phone number formats. Fake Phone Number website also makes sure that all the given numbers are fake and non-existent. Get New Identity provides ten fake phone numbers for our use. The provided phone numbers are fake, but they can be verified. And there is a minimal chance that sometimes the provided phone number is real by accident. This is another Indian fake phone number generator tool that can provide a list of fake Indian Phone numbers. Get Fake Data also has the option to create phone numbers in formats of more than 60 countries. 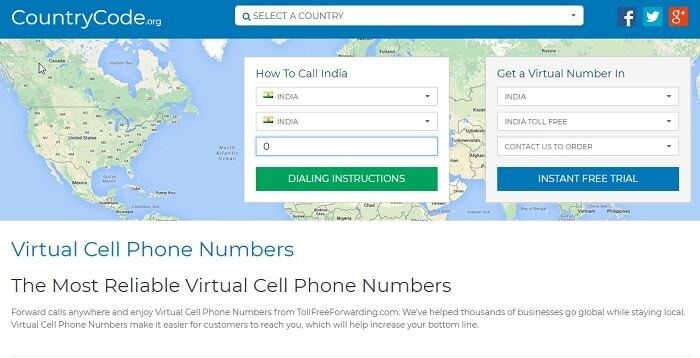 This is a website that creates virtual phone numbers based on your country. You have the option to select the country, and a fake phone number would be provided based on it. 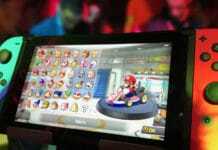 This is one of the most famous and professional fake number generator smartphone application. 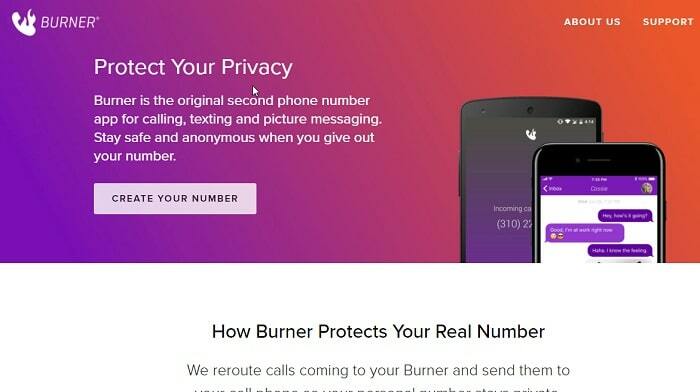 The burner is a mobile app that provides you with a fake number that you can give to anyone. All the calls coming to that fake number will be rerouted to your personal number. This keeps you personal number safe from others. Burner App can be useful for dating, business, online purchasing, promotions etc. You have to only provide your number to the few people you trust. For everyone else, you can use the burner number. Spikko is a fake virtual number generator application available in play store. This app provides you with a fake number. The number can be selected from a list of more than 50 countries. You can get one or even more fake phone numbers using this app. 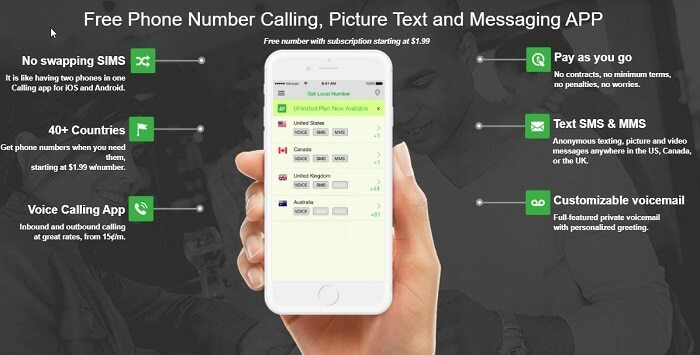 This app creates numbers that can actually be called and the call would reach to your smartphone with the help of this app. 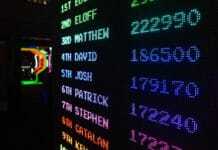 Using Dollar Digits, you can create unlimited fake phone numbers on your smartphone. The phone numbers can be selected based on area codes. You can choose an area code, and a fake phone number would be provided based on it. The fake number call service is at $1.99 per month. 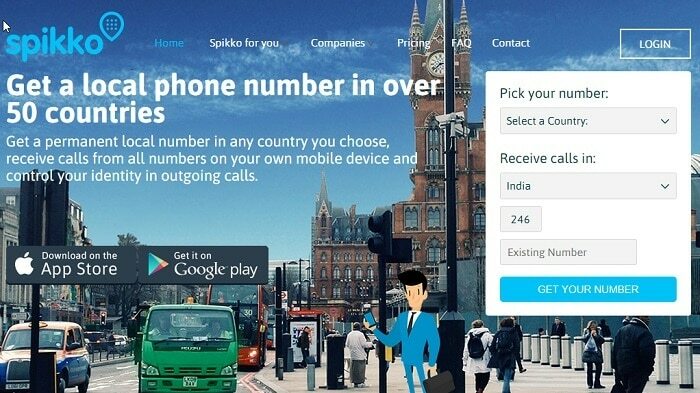 This application has mobile numbers from more than 40 countries. 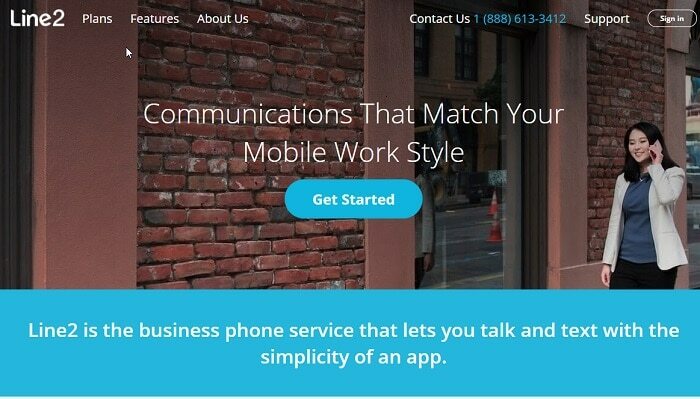 This app uses WiFi or mobile data connectivity to make a call rather than using your carrier. You can even set it up in such a way that the calls coming to your fake number would be forwarded to your personal number. 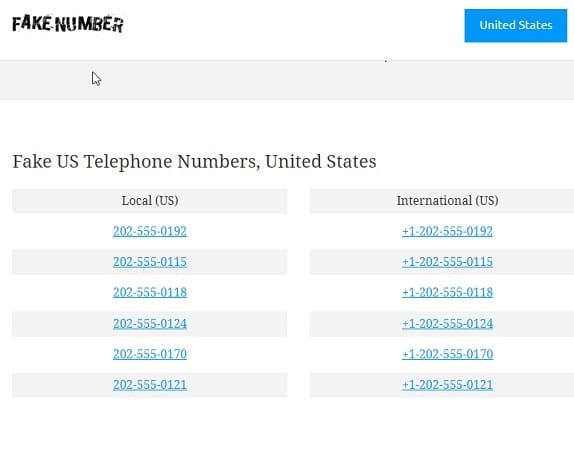 This is a fake phone number generator application that is more focused on business purposes similar to the other applications we mentioned here, Line2 also produces a second number that you can give to others to contact you. You can even keep the fake line 2 number permanently. Line 2 can also be in use to create Toll-Free numbers for your business. It is also available as a desktop app for Windows and Mac. 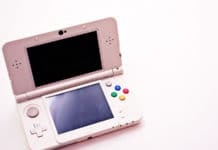 These websites and fake number generator tools make sure that you get safe and non-existent phone numbers that are usable for your business or personal purposes. 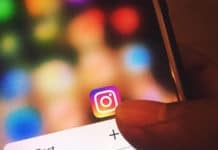 Using a fake number is safe as exposing your number can cause you to lose the privacy of your number and maybe the safety of your number would be compromised. You would not be able to know what kind of a person you are talking to on the other side of the phone. It may be a client, a potential employer, employee, a girl or boy you want to date, or you are receiving an OTP code from a website, etc. Whoever it may be, you never know their intentions. So always keep your personal number for a few people who you trust in your life. And for the rest, try out these fake number generators.